It’s finally here! The first competitive match of the Marc Dos Santos era will be played against the Loons aka Minnesota United. The long off-season, with its litany of roster and technical staff changes, will finally be behind us. And what lies ahead? MDS has stated that despite the team barely having had a full week training as an entire unit that they will be going full throttle on the pitch. Marc wants a team that fights for every point and runs our opponents ragged, particularly at home. Fill your lungs and lift up our players when they need it most, because Saturday is sure to be a barn burner. Together we can make BC Place a stadium where no opposing team wants to play. 9:30am – Membership table opens at Library Square. 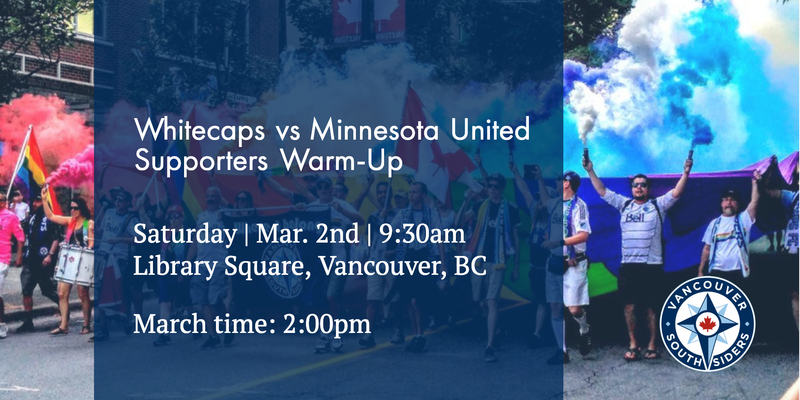 Note that in the event that the venue is at capacity, look towards the patio area for easier to access membership sign-up and scarf distribution! 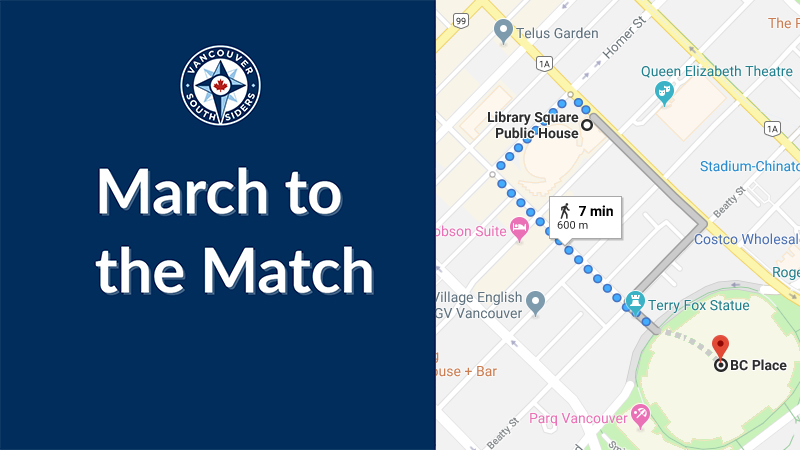 3:00pm – The 2019 MLS season kicks off! Bring we’re here for a party, not a riot. We march to show our pride in our city. Don’t cover your face with a scarf or bandanna. Wave a flag, join in the chants and get ready to rock our home stadium!